UK lodges demanding a compulsory sick and funeral fund, broke away in 1834 and called themselves United Ancient Order of Druidism (UAOD). Other splits followed until 1850. Still active today are the parent Order AOD, the Order of Druids and the Sheffield Equalised Order of Druids. UAOD UK unfortunately ended in 1999. Between 1821 and 1831 lodges were opened in Canada and USA, later forming their own UAOD. From New York the American order spread to New Jersey and California, forming groves for men and circles for women. There are also AOD and UAOD Lodges in South America. Bro. 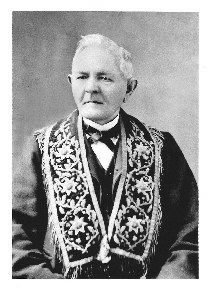 Hymen, UK AOD member, migrated to Australia and chartered a first lodge in Melbourne in 1851. The Order spread to all Australian states plus New Zealand, adopting the name UAOD. The Druid Lodges in California and New Jersey attracted immigrants from Europe. A memorial at Placerville was erected for Frederick Sieg. 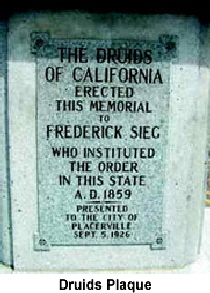 Californian Druids undertook the task to bring Druidism to Germany in 1872. Bro. 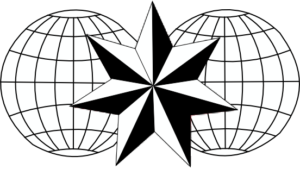 Joseph Hafky chartered several Lodges, among them cities like Berlin, Bremerhaven or Stuttgart. The successful development of UAOD Germany led to the spread of Druidism into Sweden in 1906, from there to Denmark in 1924, and to Norway in 1935.
foundations are ongoing in Iceland and Finland. Grand Lodge Isafold in Iceland is successfully working since 2013.